‘Signs & Wonders’ also features a striking video of the ‘Anhedonia’ single, starring Aya which was directed by Andree Ljutica (Formless inc.) and includes Jay’s own creative visuals. 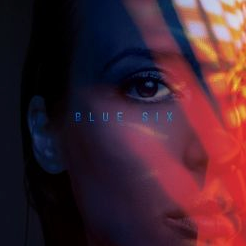 Blue Six aka Jay Denes started his professional career in music in the late-80s playing keys and singing in a New York based electronic pop band. After experiencing difficulties with his first record deal, he decided to strike out on his own as a writer and producer, later teaming up with Dave Boonshoft, an accomplished musician and successful entrepreneur. Together they decided as independents to make the highest quality recordings possible, while still retaining commercial viability. From this the Naked Music NYC production company was born. A series of releases immediately set the tone, winning them instant popularity worldwide. Quick success in the underground scene led to growth in their niche, high profile remixes for majors and the formation of the Naked Music imprint. The brand flourished with a series of compilations featuring Naked’s homegrown artists - their distinctive sound and stylised look being widely emulated around the world. Howdy, I do think your web site might be having browser compatibility issues. When I look at your site in Safari, it looks fine however, when opening in IE, it's got some overlapping issues. I merely wanted to provide you with a quick heads up! Aside from that, excellent website!